There seem to be few terms that strike as much fear into the hearts of property owners as ‘roof problems.’ Having an issue with your roof is notoriously expensive and tricky to diagnose. With this blog post, we hope to clue you in on some of the common roofing issues that we’ve seen during our tenure providing high quality roofing services. Leaky roofs are easily the most dreaded roofing issue, especially in a place like Australia where rainfalls can become quite intense. As we outlined in a former blog post, one of the main challenges concerning leaky roofs is identifying the exact origin of the leak. Just because the water is falling inside from a specific point doesn’t necessarily mean that the leak is occurring there, as we told you in that blog post. Here at Rooftec, we’ve got great staff who are skilled in not only locating roof leaks but also repairing them effectively. Going with the cheapest service provider you can find isn’t always a wise option, as years of fixing shoddy work has shown us here at Rooftec. Installing a roof properly is something that requires extensive training and care to ensure that the work is carried out properly to avoid issues like billowing and damage to the entire roof’s structure. That said, even if you do have concerns regarding the installation of your roof’s components, fret not. Our technicians are equipped and skilled to perform remedial work on even the roughest of roofs. Ponding, in a roofing sense, refers to the ‘pooling up’ of water in a specific spot on the roof. This creates an unnecessary load on that area and can cause damage in surrounding areas, as well as sagging. Ponding often is a result of air conditioning components that are installed incorrectly. Blistering refers to surface erosion on the roof, specifically when bubbles form due to improperly installed or maintained roofing. 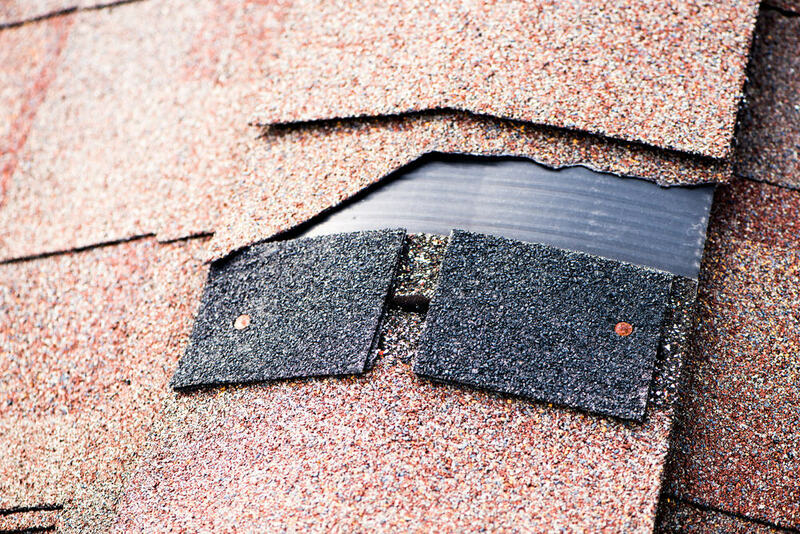 While these are usually far from catastrophic, they can lead to larger problems down the road, which is why you should have a technician take a look at your roof if you suspect blistering may be occurring. These are just a few of the common roofing problems we encounter daily in our work here at Rooftec. If you’re looking for an experienced, qualified and skilled roofing company to take a look at and fix any of these issues on your roof, just give us a call. We’ll gladly provide you a quote and get started right away.